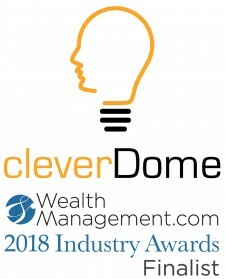 cleverDome Named Finalist in 2018 Industrywide Competition, Dubbed Financial Services "Industry Disruptor"
PHOENIX, July 9, 2018	(Newswire.com) - cleverDome, Inc.™, a B-Corporation that provides a community-driven solution to protect confidential consumer information by taking that information “under the Dome”TM (i.e., secure and off the open Internet), has been named a finalist in the 2018 WealthManagement.com Industry Awards. 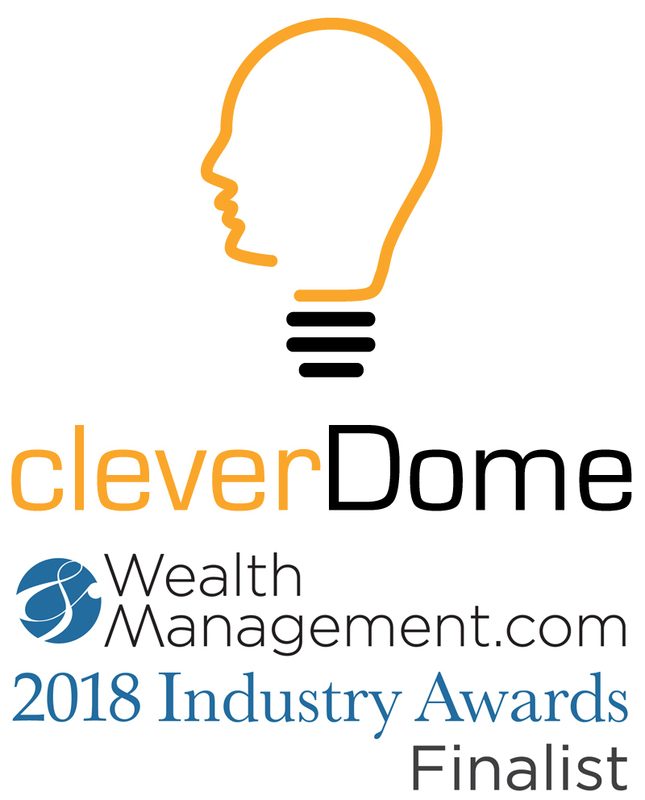 A judging panel of industry luminaries selected cleverDome as one of only seven finalists in the category of “industry disruptors” based on the information they analyzed during the nomination process related to cleverDome’s cybersecurity solution. 2. Initiatives can include areas such as technology innovation, process enhancements, new methods of delivery, etc. 3. Criteria include both quantitative measures, such as specific feature set, usage, potential, scope, scale, etc., along with qualitative measures such as innovation, creativity, new methods of deployment, etc. The annual WealthManagement.com Industry Awards is the only awards program of its kind to honor outstanding achievements by companies and organizations that support financial advisor success. A record number of submissions were received this year, with more than 600 entries received from nearly 250 companies. Only 156 of the 600 entries were selected as finalists in one or more of the 67 categories. Winners will be announced at a black-tie gala on Sept. 13, 2018 at the Ziegfeld Ballroom in New York City. This 2018 acknowledgment comes on the heels of cleverDome / Netfoundry being named by the judges presiding over the fourth annual Fuse Conference held Sept. 7-10, 2017 in Park City, Utah (hosted by Orion Advisor Services) as “most likely to disrupt” the financial services industry. In an effort to help the financial services industry understand how technology is creating both challenges and opportunities for their firms, Aaron Spradlin, CEO and co-founder, cleverDome has been taking every opportunity to speak about data protection and cybersecurity in the financial services industry. On July 11, 2018, at 9:00 a.m. ET, Spradlin will speak at the fourth annual In|Vest Conference sponsored by Financial Planning magazine and other SourceMedia publications. This year’s In|Vest conference is being held at the New York Marriott Marquis. Spradlin will join a panel of experts to discuss how blockchain, artificial intelligence and quantum computing are impacting financial services firms. He will be joined by Vern Brownell, CEO of D-Wave; Amber Baldet, Co-founder, CEO, Clovyr; Kapin Vora, Partner, Capco; and Salvatore Cucchiara, Head of Wealth Management Technology, Morgan Stanley. Attendees and journalists covering the In|Vest Conference are encouraged to sit in on the session titled “Blockchain, Quantum Computing, AI - What's Next in Wealth?” for an eye-opening view of what is actually happening in the financial services realm. Journalists who would like to schedule time to speak with Spradlin may text message or call the smartphone shown at the bottom of this page for more immediate connectivity than emailing or calling the office. cleverDome,Inc. ™ is an Arizona Benefit Corporation (B Corporation) that operates as a Co-Op. Members include managed security service providers, software service vendors, custodians, broker/dealers, registered investment advisers, financial advisors and ultimately their investor clients. As a B Corporation, its mission is to protect confidential consumer information through safe, reliable and fast Internet connections. cleverDome CEO and co-founder Aaron Spradlin and Chief Risk Officer and co-founder Bridget Gaughan established cleverDome as a B corporation to create a solid and permanent commitment to delivering a community-based solution to protect confidential client information. cleverDome provides a fundamental model for the future of secure trust networks: the unification of end-point protection with a secure communication layer under a common due diligence standard. This revolutionary model is built on a community-driven platform in collaboration with financial services industry thought-leaders. The Dome is powered by NetFoundry ™, a Tata Communications business incubated in Tata Communications’ “Shape the Future” program. Learn more at www.cleverDome.com.